Which is playing on a few dates in select cities across the US. I strongly encourage you to go! Includes exclusive interviews and stories. This is truly a life-changing film! Money and finances are on the forefront of many of our minds. Do you have a healthy attitude towards money? That’s the question Your New Money Mindset helps you explore! And learn how the value you place on money aligns with the values in your heart. For more information, see my book review. and be sure to leave a comment on my giveaway post! The February Book Nook Is Open! 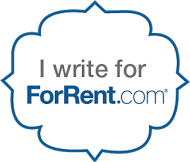 Have a literary article to share? Our month-long community and party for book lovers! Stop by for a visual feast of delights! Stop by her blog to see all of the gorgeous photos! And she shared with us the most amazing vegetable recipe! That Claudia shared with us this week? Be sure to drop by Claudia’s blog! Deborah – A Very Healthy Parfait! Mango, Raw Almond, Granola and Chia Seed Parfait holds? Here’s Some Happy Music To Start Your Week! I like Lynda’s pocket page book, and Cathi’s squash dish looks delicious. Blessings, my friend! Isn’t Lynda’s book stunning? That squash dish looks delicious too! I see spiralizing in my future! Have an amazing week Arnoldo! I really love reading your Inspire Monday posts, Ramona. There is always something that I take away from it, be it a recipe, an art creation or a book or music. Thank you very much for featuring my zendoodled heart. Thank you so much Claudia for your comment – I am so glad you enjoy the posts – I always wish I had time to share more – there is ALWAYS so much inspiration at the party! Congrats on your feature – I truly loved your post! Thanks so much for the party, have a wonderful week! Thank you Pili – you too! Thanks for the party, wishing you a lovely week! Awww I loved what you picked for today’s tune. Charlie Brown is one of my favorite and that gentleman is sooooooo talented. Thanks so much for sharing and have an absolutely wonderful week! HUGS! We had just a little bit of spring here this weekend–a crocus bloomed! So I’ve shared some spring-inspired feline artwork, and a very special poem and memory about the wisdom found in the woods during the spring thaw. I love the Piano Guys and Claudia’s artwork, and I’m looking forward to all those recipes I see! Happy Monday! Have a great week, and hope to see you around “our place” for Coffee & Conversation on Wednesday! Good morning Monday, what great features, I love the Valentines Pocket Page book, so cute. Thanks for hosting this week. Hope you will stop by #OMHGWW when it starts “today” at 11:00 AM PST. I am thrilled to be featured on Inspire Me Monday! Thank you so much for featuring UrbanNaturale’s Crunchy and Creamy Mango, Raw Almond, Granola and Chia Seed Parfait. What wonderful inspirations, the parfait looks delicious! Happy Monday to you! I’m delighted to feature you Cathi – your dish is amazing! Thank you so much, I appreciate the warm welcome!! I’d be honored to join in again! It’s wonderful meeting you! A little late to the party but here at last finding my weekly inspiration. I love Claudia’s images! This week I am sharing my February interview post. Sharing my February interview post this week. The women of faith movie does sound very interesting! All of the speakers are SO inspiring – I not only enjoyed re-living my favorite memories but I especially enjoyed hearing from some of the new-to-me speakers when I attended the event! Thank you for Featuring my Valentine Pocket Page book! So kind! Also, thank you for hosting. Thanks for featuring PHPT Contributor, Cathi’s (Cherry Blossom Kitchen) Roasted Butter Nut Squash With Brussel Sprouts!! My pleasure Taylor – I’m so glad you shared Cathi’s wonderful recipe with us!